Booking: http://Nissanroi@gmail.com Cosmic Tone is the project of multi-talented producer, Roi Nissan. Based in the peaceful, sunny northern city of Naharia Israel, Cosmic Tone has been producing top class electronic based music for close to a decade. Since his childhood Roi has been intrigued by music and begun playing the keyboard and guitar at a very early age. During the end of 1999 Roi set out on a trip to the Far East, which was planned to be a 6 month affair, but lasted over 3 years. He Dj'd & organized various events in Thailand, Laos (First Full-moon event held there), Goa & all across India, Australia and Africa. Roi began producing his own style of electronic music while residing in Thailand. On his return home he took things to a higher level building a state of the art studio to give him the environment needed to produce top class electronic music. The alias 'Cosmic Tone' was triggered by a good friend and colleague, Avihen Livne (a.k.a Cosma - RIP). 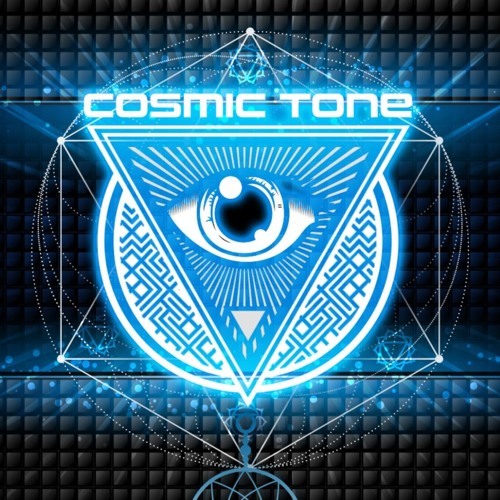 Cosmic Tone successful career includes a wide range of tracks featured on a large number of compilation releases by top international labels. 2002 brought forth his debut album 'Overwhelming' (Trancelucent Prod. ), a truly exceptional & ground breaking album release, which is until this date, considered as one of the most innovative progressive trance classics. Since than the signature print - Cosmic Tone sound has been in constant development and change. He has released 4 additional studio album releases: 'Going Solo' (Trancelucent Prod. 2004), 'Wake Up '(Com.Pact Rec. 2005), 'Singularity'(Com.Pact Rec. 2006), 'In-Action  Remixes by Cosmic Tone'(Com.Pact Rec. 2007). Cosmic Tone's crystal clear sound & infectious abilities on stage have taken him all over the world, presenting his unique sound to a large range of electronic music fans. Cosmic Tone fits perfectly to the description of the music; spacey, emotional with an uncompromising sound which is always evolving deeper and deeper. Among his wide range of activities Roi is also an active partner, on the musical front, of the known & respected 'Half-Moon Festival'. During 2009 he has released 'Best of Cosmic Tone' which was the official album release of the 'Half-Moon Festival'. He has currently completed the production of the next 'Half-Moon Festival' 2010 album release, alongside known Thai producer Tripical. Cosmic Tone's 6th studio album- 'Uniting Force' was released on Planet Ben Records in 2011. Cosmic Tone’s unprecedented sound production abilities and supreme digital mastering results, has lead him to run a successful digital mastering studio which takes care of a large range of products from various fields of music, from 2012-2017. Cosmic Tone continues to release his music on top international labels and keeps gigging all over the world. In 2018 Cosmic Tone joined the Iono Music Group And Sonic Booking Artist Management - so now - the sky is the limit!